Children could all benefit from ergonomic products, information, & exercises. We carry chairs, backpacks, mice and trackballs, desks, footrests, and keyboards that are designed specifically for proper kid's ergonomics. We also have helpful tips and exercises to help your children stay healthy. Backpacks that are not proportioned correctly and not designed ergonomically put tremendous strain on shoulders & backs. With the heavy load most children carry these days, an ergonomic backpack for kids can be invaluable in preventing future problems. Most office chairs and desks are designed for people over 5 feet tall. Ergonomics experts recommend a chair and desk that's proportioned to fit your child, especially if they sit for longer than an hour at a time. Ergopro has several ergonomic chairs and desks for kids to choose from. If your child's feet don't reach the floor when seated at their desk, try using a footrest for support. This helps your child maintain the proper position when seated. 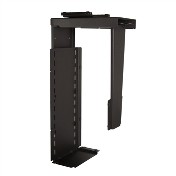 Ergopro carries footrests that are fixed and adjustable in angle and height. Computer mice and trackballs are all designed for adult-sized hands. This puts tremendous strain on small hands that can take a toll in the long run. Try one of our kid's ergonomic mice or trackballs scaled to fit a child's hand. Keyboards are also scaled for adult-sized bodies. This can put strain on the shoulders and necks of your children as they must reach further to reach all the keys. Our ergonomic keyboards for kid's help prevent future problems: your child deserves an ergonomically friendly 'office' too!